On this episode of The Pinche Kimchi Podcast, PK is joined by guest Ron G! Ron G is blazing a trail as one of the hottest upcoming comedians in Los Angeles. This former class clown decided it was time to graduate from the classroom and take his act to the world’s stage. Ron G, who describes his comedy as “high energy and clever with an urban flare,” graduated with a dual degree in finance and management from the University of South Carolina. He quickly decided he didn’t fit into the corporate world and at his cousin’s urging, got up on stage for the first time in Atlanta, Georgia, and got booed severely. He calls that “the best and worst day of my life, the day I fell in love with comedy.” He has been performing ever since at clubs, colleges, churches and corporate events across the country, entertaining people while staying true to his commitment to clean humor. His performance presents down-to-earth humor and funny characters. Ron G began his stand up career in Atlanta, Georgia, and was crowned first place winner of the 2005 Sierra Mist Late Night Laff Off. 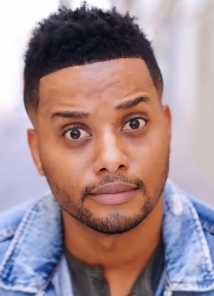 After moving to Los Angeles to further his career as a comedian and actor, he was a finalist on Bill Bellamy’s new hit television show Who’s Got Jokes?, and was also a finalist on the most recent season of NBC’s Last Comic Standing. If that wasn’t enough, on his very first commercial audition, he booked a gig as national spokesperson for Checker’s & Rally’s restaurants. Having Martin Lawrence tell him he was funny is one of Ron G’s career highlights so far, and after receiving his first standing ovation only eight months in the game, he knew he had found his calling. Ron G says, “I want to represent the new generation of comedians that get overlooked. I’d like to show the world the new generation is just as funny, clever, and talented." Ron G knows, being single ain't easy. Ron G plays out a scenario between he and his girlfriend. Ron G's mom will bring down the wrath of God on you. Ron G (@comedianrong) gets stalked at the Laugh Factory comedy club in Hollywood, CA, home of the best stand up comedians.